Liverpool should take risks in the transfer market, because financially, we can now cover ourselves. Partly because of the monumental TV deals and increased match-day revenue, but mainly because any mistakes seem to cancel themselves out in the form of a buying club paying what we spent on the obsolete player originally. 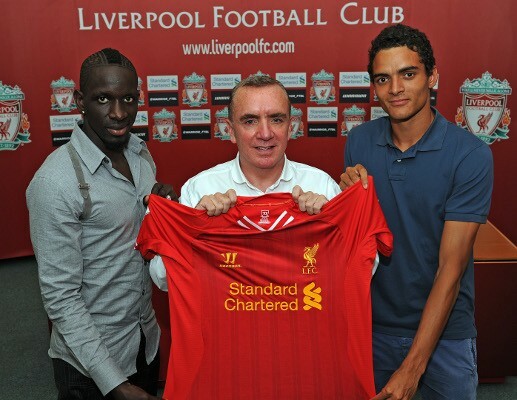 When Liverpool signed Sakho and Ilori on transfer deadline day 2013, Brendan Rodgers made a bold and ultimately calamitous prediction. “I wanted to try to protect the present and the future of the club,” he told ESPN three and a half years ago. He was very wrong, but ultimately, it will not hurt us financially. Tiago Ilori has just completed a move to Reading for £3.75m, with a 35% sell-on clause, which actually represents a profit for Liverpool (via Echo). This is despite the fact the Portuguese never featured once in the Premier League for us since his transfer from Sporting Lisbon – where his ‘£7m fee’ was made up of added clauses the centre-back’s obviously failed to trigger. The Portuguese defender has been an enormous failure in England, but a Championship side has still paid more for him than we spent. Mamadou Sakho is different to Ilori in that he’s a proven, seasoned international, but similar in that he’s completely surplus to Jurgen Klopp’s requirements. Neither have featured in a single match-day squad in 2016/17, despite injuries and problems at centre-back. The older Frenchman has been toiling alongside Ilori in the Under-23s, having failed a (later disproved) drug test in March last year. The 26-year-old was sent home from Liverpool’s summer tour of America for disciplinary issues, yet according to Sky Sports, we’re still demanding £20m from interested Sevilla for his services. If the Spaniards, or anyone else, agrees to pay our asking price, we’ll have made a profit on Sakho as well. Yes, we’ve paid their wages during this time – but in terms of pure transfer fees, we (and all other big clubs) are in a very safe position. In years previous, power was in the player’s court. He could demand an exit, unsettle a dressing room, speak out – but Liverpool’ stubbornness, providing a player is contracted for the foreseeable future, negates this. Just because he’s not good enough for us, it doesn’t mean he’s not good enough for you – and you’ll pay for that privilege… thanks very much. We’ve already made money on Ilori, who the casual Liverpool fan wouldn’t even know was still at the club, while we’re likely to do the same on a centre-back who’s quite literally being forced out by a manager who has absolutely no time for him. On top of our stubbornness to get a good price when we sell, there’s the notion of increasingly inflated transfer prices which further encourages us to take risks. Christian Benteke signed for £32m and despite failing to convince Klopp of his skills, was sold to relegation candidates Crystal Palace for the same price a year down the line. This window, Arsenal (yes, Arsene Wenger’s Arsenal) have had a £56m bid for Andrea Belotti rejected (Sky Sports)… Chelsea have sold Oscar to China for £52m (Guardian). The Brazilian couldn’t get in Antonio Conte’s team and has digressed since he arrived at Stamford Bridge, yet the Blues made three times what they spent on him back in 2012. The transfer market has gone completely berserk, but it’s not Liverpool’s job to complain, but to take advantage of it. Signing players now represents little risk financially. If we put Loris Karius, who’s been undeniably poor since his summer arrival, up for transfer, we’d still make a profit on the £4.7m we spent – because the German’s status is elevated simply because he’s played for us. Obviously this won’t always be the case, but it should encourage the club to gamble in the market. If we continue to sign talented, young players – they’ll either benefit the first-team – or we’ll make our money back one way or another due to football’s non-stop economical growth. In summer 2016, Liverpool brought in Sadio Mane (£34m), Gini Wijnaldum (£25m) and a host of others, but actually made money due to our ability to offload deadwood for significant sums. We haven’t yet sold to China for a barbaric sum, but rest assured – it’ll happen eventually – likely on a player we’ve no time for. Since his arrival, Klopp has a net spend of around £3m. If he wants a player (and it looks like we need one this January due to the fixture pile-up and Mane’s AFCON absence) Liverpool should act quickly and snap them up, because the financial danger in buying duds can be fixed very easily in future windows.